HIT offers these high-quality hand winches, made in Japan, at an affordable price. For those that don't know, there really is a big difference in run-of-the-mill imported goods these days, and products from Japan (especially from HIT) are known to be of higher-quality than others in the marketplace. 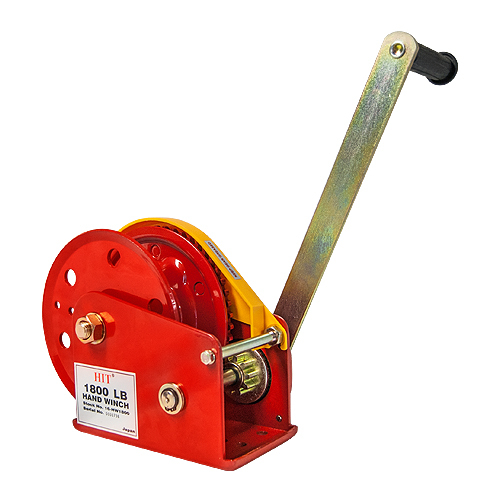 These winches feature a heavy-duty design with automatic braking for positive load control. Enamel finish and fully encased brakes and gears make for a product that will last. You really can't go wrong with these hand winches! * Wire rope assembly sold separately. Call for details.